The chairman of the state Libertarian Party says state Rep. Graham Hunt, R-Orting, deceived him by claiming to have been shot and stabbed during his military service. 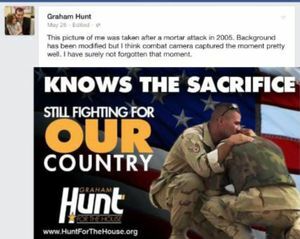 Someone else is saying that state Rep. Graham Hunt, R-Orting, has been deceptive about his military record, this time in claiming to have been wounded. The latest accusation comes from the chairman of Washington state’s Libertarian Party, who says Hunt spoke of being shot and stabbed during his time in the military. Facing questions about his service, Hunt wrote on his website Friday that his main injury from his time in the Air Force was post-traumatic stress disorder, with no mention of a gunshot or stab wound. Steven Nielson, a former state legislative candidate and the current head of the state Libertarian Party, says that’s contrary to what Hunt told him two years ago. “I was stabbed in Afghanistan and I was shot in Iraq so before you start talking about your thoughts and feelings on veterans realize first of all that I’m sorry that you’ve lost a loved one but I’ve lost brothers,” Nielson says Hunt told him in a social-media message in June 2014. On Monday, Nielson provided a screen shot of the conversation to The News Tribune, and said the exchange was concerning Nielson’s work to help restore a veterans wall in Orting. 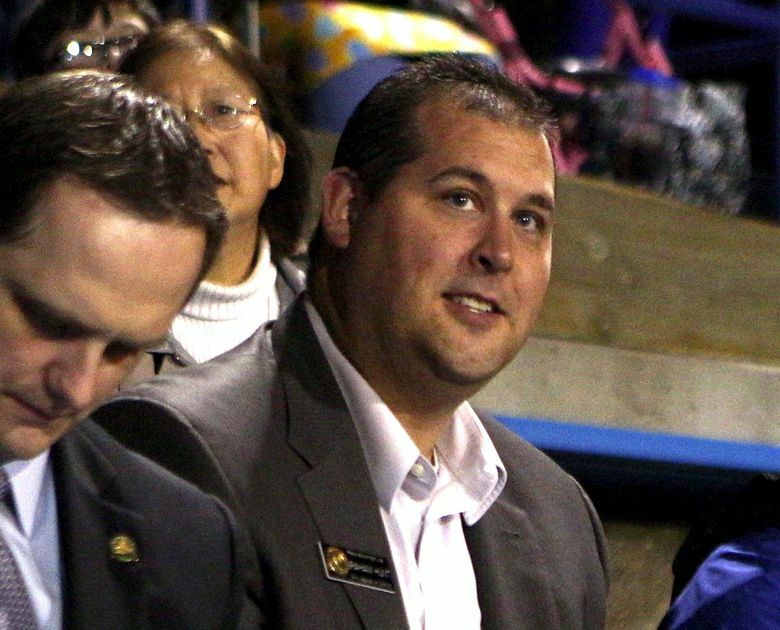 Nielson urged Hunt to step down Monday, echoing last week’s call by House Minority Leader Dan Kristiansen, R-Snohomish, that Hunt either clarify his military service record or resign. “We ought to hold our elected representatives to the highest ethical standards and I believe that misrepresenting your military record not only violates the honor of the service, but it dishonors the integrity of the very office he holds,” Nielson said in a news release. Hunt maintains that he never intended to mislead anyone about his military service and is working to locate records that will verify his claims of being a veteran of Iraq and Afghanistan. He said Monday that he isn’t friends with Nielson on Facebook and doesn’t remember the conversation in question. When asked about the injuries he sustained, Hunt said he doesn’t like to discuss details of his medical history. He declined to answer a question about whether he was shot or stabbed. “Really with my medical files and things that I’m dealing with, it was difficult to even come out and talk about PTSD,” Hunt said Monday. Earlier this month, The Seattle Times reported that records from a military personnel center didn’t back up Hunt’s claims of being a “combat veteran” who served in Iraq and Afghanistan. Records also didn’t reflect that Hunt had received three medals he previously listed on his official and campaign biographies, the newspaper reported. A military spokeswoman told a Times reporter that records from military personnel centers are sometimes incomplete. Documents Hunt recently posted on social media do confirm that he served in the Air National Guard, was based in Arizona and deployed to Saudi Arabia and another location that was classified.